I am not much of a PC gamer. 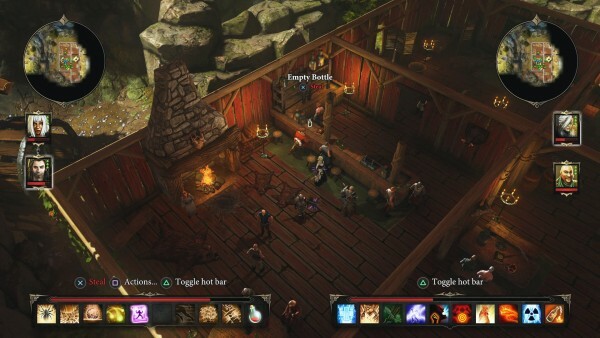 I do remember hearing all the buzz when Divinity: Original Sin first released as it seemed like a nice enough title, but alas I stuck to my console gaming ways for all of 2014. Luckily, a lot of big-named releases usually find their way to other platforms, and Original Sin is no different. This RPG originated as a dream from a little studio and has now hit the big time, with a sequel in the works as well as a fanbase that are extremely loyal to this one title. Divinity doesn’t just have a heart, it has a brain – and that is an absolute rarity. With that said, can this gem bring all of its worth to consoles? Let’s find out. For the most part, Original Sin Enchanced Edition is an isometric RPG set it the world of Rivellon. As the player, your objective is to band together with a friend (via up to flour player co-op) or with an AI preset to rid the world of an evil, prohibited magic by the name of “Sourcery”. To be honest the overall plot comes secondary, as the world you are within is the most magical part of the entire experience. Every single character usually has something of value to say, and every action you perform – wherever you are usually has some sort of consequence for later. Sure, I enjoyed the story, but the interaction between the characters within Divinity truly makes the universe its set in come alive – and luckily that spreads over to the gameplay. The combat within this title is fantastic when it is working at top gear. 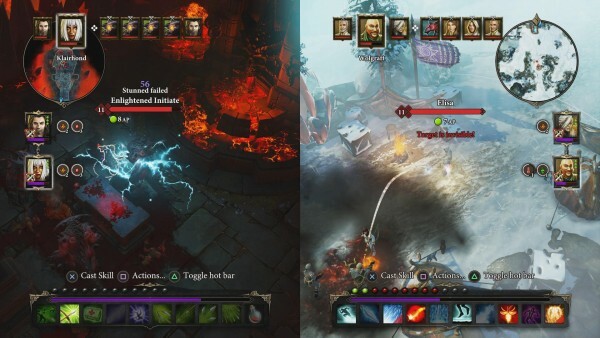 Players utilize a turn-based mechanic, ditching the usual grid system to allow for more freedom of movement. Once the player has gone through their AP (attack points), their turn can end – with the enemy and your team each stepping up to the plate to perform an attack or a method of defense. Its a lot like chess to be honest, as Original Sin allows pure strategy with its combat, and benefits ten fold for how well the environment can play into one battle. For instance, if you are fighting an enemy that is protected by an oil fire, you can cast a rain spell to put the fire out – or even throw something toxic into the fire and hope for an explosion that would hurt the foe. There are a lot of little ins and outs for combat, and it would take multiple playthroughs to be able to run out of options entirely for how to decimate a field of foes in a quick fashion. I will say however it is extremely easy to be unintentional suicidal in this game, or even homicidal for that matter. The first time I saw a barrel blocking my path I thought “HA! I will blow it up”. It worked, but my partner also died. The area of effect for techniques has a weird way of taking your partner out it seems, so a lot of practice and place shuffling is needed in order to avoid a bit of frustration. While I guess combat is important, I truly feel that Divinity is a game of exploration and discovery. This is a large title with great variety of locales to explore, and the game rewards exploration with items that you will need on your journey ahead. Items such as scrolls, potions, and so on only come to those who check that extra crate or that go out of their way to constantly search the area, and while it sounds so minor – this actually adds a very rich layer of depth to the overall scheme as having a potion handed to you is one thing – but having to search for not only healing items but quest related trinkets definitely keeps the player on their toes and wanting to do more poking and prodding as they traverse through the game. 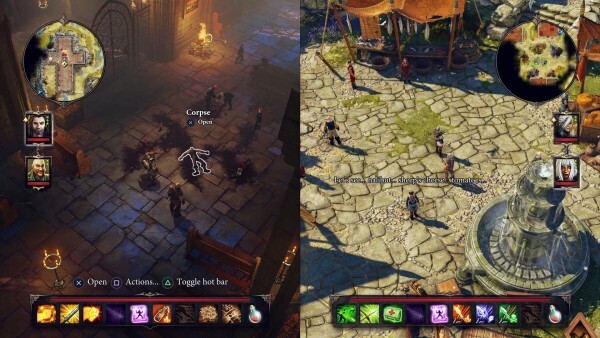 Divinity also features a bit of a curve with this as if you are going to be lazy and skip through cutscenes, expecting for everything to fall in your lap – you will quickly learn you are in the wrong place. This title will not hold your hand and while it is more forgiving than the “I exist because I’m hard” fare like Dark Souls, it still has a nice set of teeth. Aside from visuals and a working and fluid control scheme on a Playstation 4 or Xbox One controller, there really isn’t many gameplay additions for this re-release – sans a few quest bits. 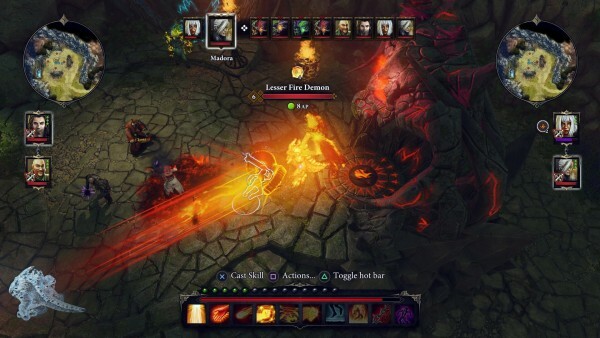 If this title had seen life on the platform before, I might have had an issue but personally I welcome even half of the party Original Sin brings as it truly pushes the limit with content and dialogue option, making every moment matter. 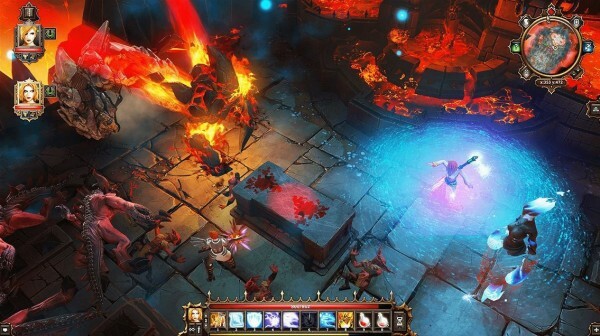 There are so many isometric RPGs that I just sigh at as ever since Diablo, we have seen a lot of other clones trying to do the same thing (TAP A THE GAME), but Divinity is just so different that it deserves to be on the newer platforms, and hopefully it will be more appreciated due to the quality inside. Divinity is full of rich color and detail. Not a lot has changed from the PC front on the graphical front, but I honestly enjoyed being able to zoom in and get even more acquainted with my surroundings – and the popping textures and well made models made it a pleasure to do so. Animations are also smooth, running at a fluid 60 fps, rather than the usual 30 frames that other titles have pushed out before. Its a great sight to see something as small as a candle flicker from a distance and not only getting to view it, but also interact with it, and that is why the scope is so large here as you don’t just get to look at the visual candy – you also get to feast. The soundtrack is also exceptional. It is kind of hard in any open-ended title to throw together a set of tunes that capture the battles and environments around the player, but the nice arrangement here do the job and then some. The voice acting is also something new to this version of Original Sin. No – we had some voice acting in the PC release, but now we get nearly every NPC fully voiced, making the world feel more alive as not only is there a lot of personalities – each actor also did a great job filling even the smallest of parts. 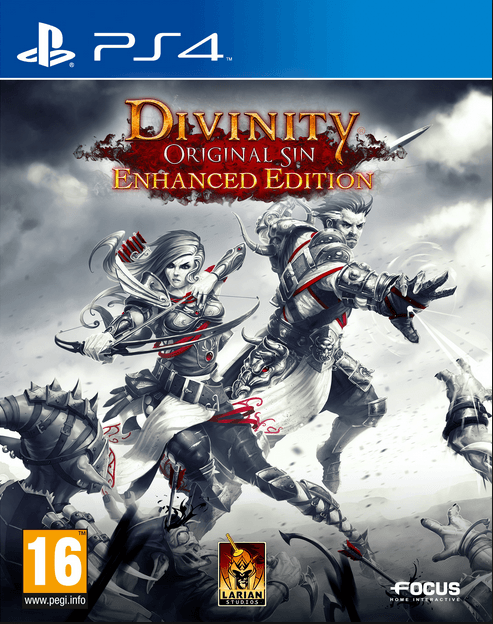 Divinity: Original Sin Enhanced Edition is a superb released with a thick coat of polish on its mass amount of detail. There is just so much to take in in this world, with lively characters, interactive objects, and a battle system that is refreshing and fun throughout. Sure – there are a couple of small things that keep this release from being perfect, but they are minor and can be avoided with a little more training and finesse. Those who have yet to travel to Rivellon, now you have no excuse as this console release brings its wonders to a whole new audience.